I love apples! I don’t have a particular one that I like as long as they are firm and crunchy. Soft apples are the worst. 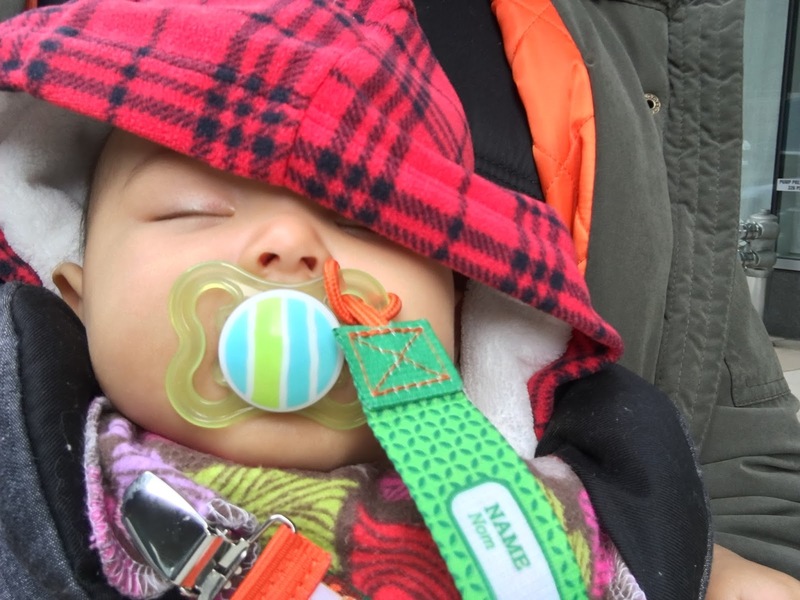 The apples we received (see last post) turned on us really quickly. They became soft and mealy. I tried eating one and throwing lots of salt on it, but it still didn’t make it any better. 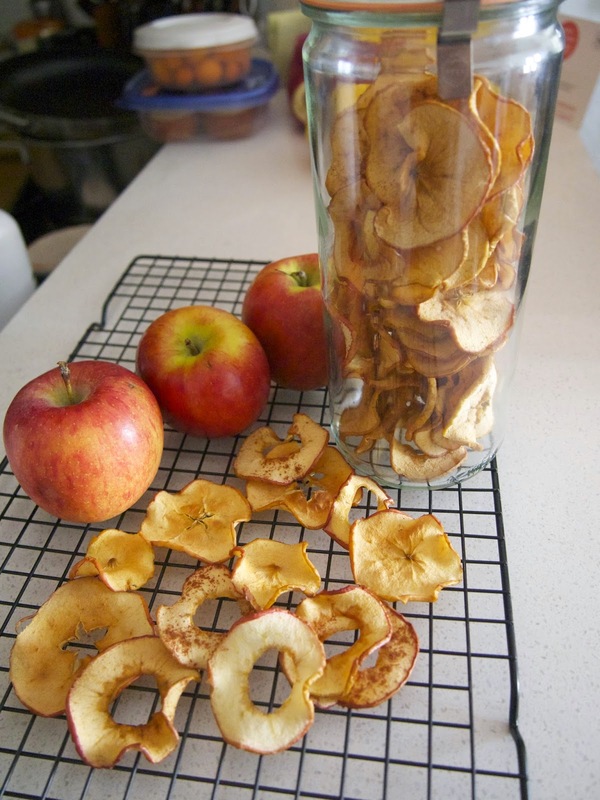 I’m not a big fan of apple things in general – like in cake or pie, or things like apple butter, applesauce, etc – so I was at a real lost on what to do with five flats of apples until I discovered you can make dried apples in your oven! 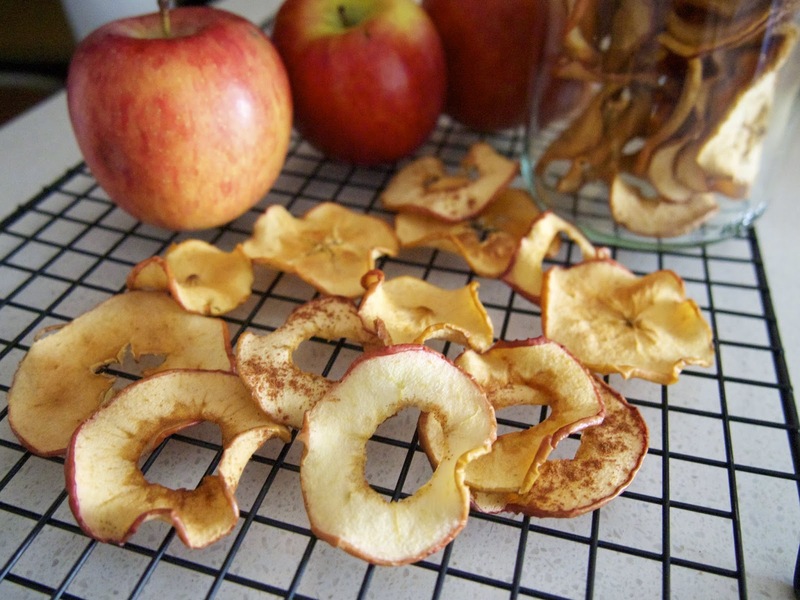 I don’t own a mandolin so I cut the apples into thin slices (about 1/8 of an inch) really carefully and slowly. In the beginning I cored the apples, but then realized that was a waste of time since I could just use the whole apple. I placed the sliced apples on a baking sheet lined with parchment paper in a 225 F degree oven. After an hour or so, I flipped the apples and left them in for another hour or so. Then I lowered the temperature to 175 F and left them in for another hour. After, I placed them on a baking sheet to cool down. They are so tasty! And it’s such a great way to use up apples past their prime. Tomorrow we find out if we are having a boy or a girl. So far, the Chinese gender prediction chart says we are having a boy and the Mayan gender calendar says we are having a girl. Either way, Chris and I decided to keep the gender a secret until August! We think its more fun that way.